The Junior Master Gardener program aims to ignite a passion for learning, service and success! 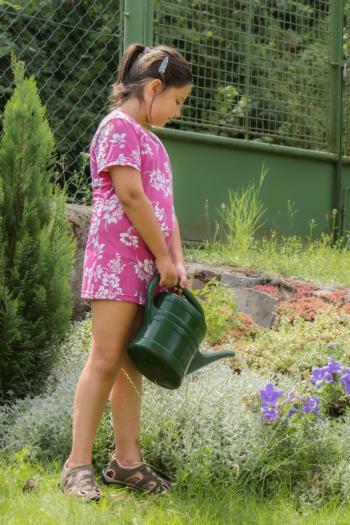 Developed originally for 4-H groups, this curriculum leads youth on a journey through gardening, ecology and nutrition, even ending with a chapter on Life Skills and Career Exploration. 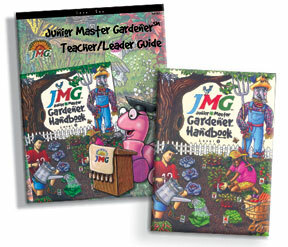 The Junior Master Gardener Curriculum includes JMG Level One for 3rd-5th grades and JMG Level Two: Operation Thistle, Seeds of Despair for grades 6-8. 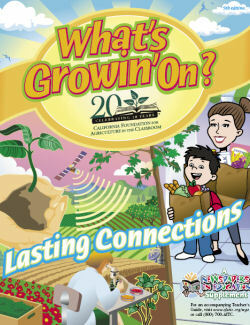 Click on the link to order your curriculum today or contact your local cooperative extension office. 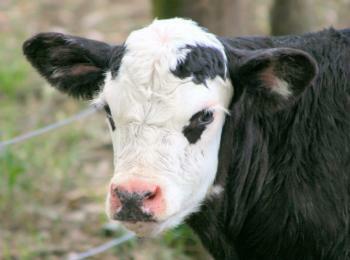 Explore the wonderful world of Agriculture in the Classroom! Increasing students' knowledge about agriculture has never been so much fun! With lessons that align with California Contents Standards, you can't go wrong! Explore this site and the wealth of resources this foundation has to offer or call your local cooperative extension office for more information. The National Dairy Council provides materials for nutrition education for all ages. Reference this site for a wealth of educational resources for learning about lactose intolerance, bone health, sources of protein and for helpful dietary guides, tools and calculators. Visit the dairy connection to also remain updated on current research reports and summaries for learning about how you can reduce your risk for diabetes, cardiovascular disease, high blood pressure and more. Explore resources for improving child nutrition such as nutritional recipes, gluten and lactose-free options, and methods for reducing added sugars and high-fat meat and dairy products.